When Judy Hannemann's mother cooked dinner, she stood over a hot stove for hours on end for her husband and family. For her own family, Hannemann took those favorite family recipes and translated them into something that cooked at home while she and her husband worked. They would come home to the familiar smells of childhood and tuck into an amazing meal. Here are those tried-and-tested recipes, gathered from family and friends of her popular blog, bakeatmidnite.com. From festive appetizers to stick-to-your-ribs dinners to delightful desserts, here are the recipes you'll want to cook again and again. 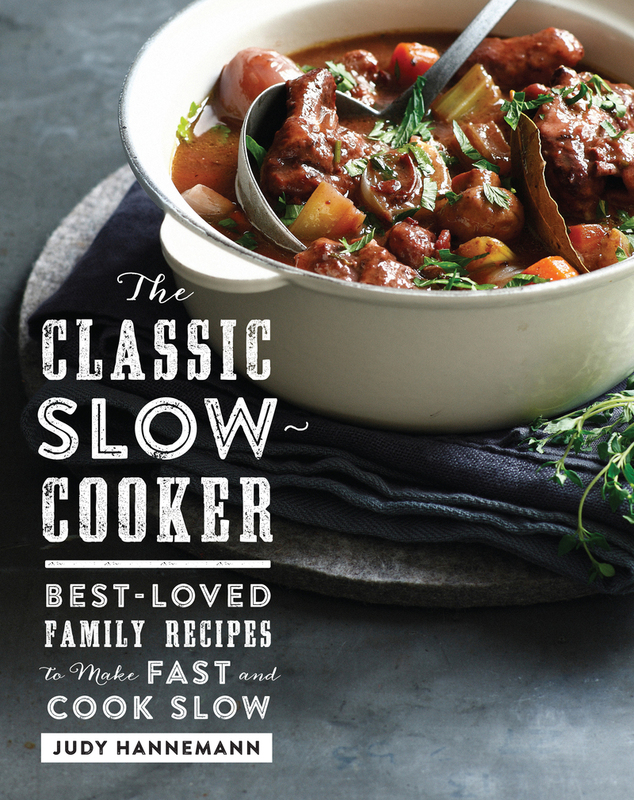 Accompanied by stunning photography and great tips and advice for cooking with a slow-cooker, this book is sure to become your go-to resource. Judy Hannemann is a retired mechanical engineer who loves to cook, entertain, and share recipes on her popular blog, www.bakeatmidnite.com. She loves to create tasty and gourmet meals from her home in Woodstock, NY.